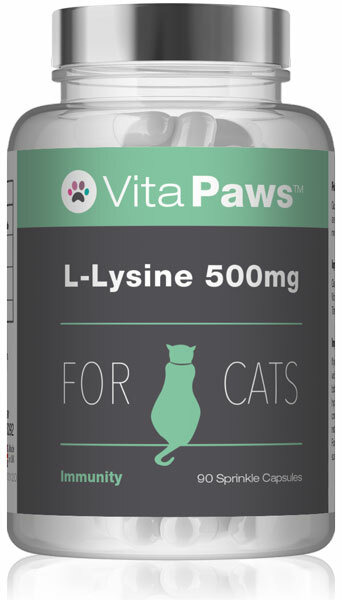 This carefully designed supplement provides significant levels of essential fatty acids in each capsule to offer support to the health of your cat. Cod liver oil is a rich natural source of the essential fatty acids EPA and DHA. The oil also contains high concentrations of vitamins A and D. The essential fatty acids within cod liver oil are thought to be beneficial for the heart, joints, bones, teeth, skin and coat. 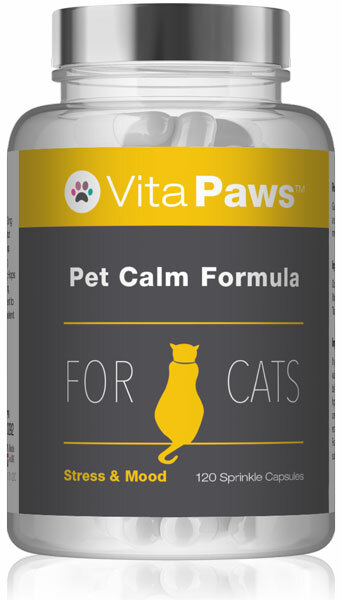 VitaPaws™ Cod Liver Oil for Cats provides the highest-quality natural oils that are safe and effective for cats. This carefully designed fish oil supplement provides suitable levels of essential fatty acids in each capsule to offer versatile support for the health of your pet. 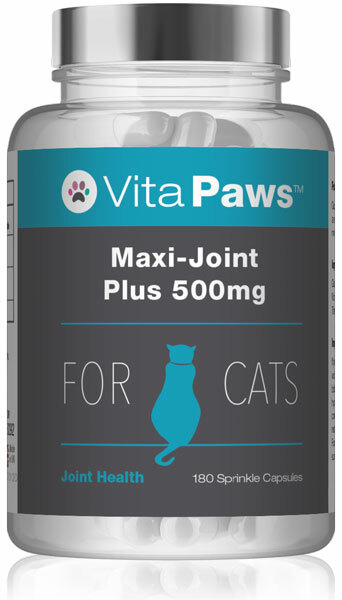 The omega 3 fatty acids that cod liver oil provides account for why this product is a popular choice for people who wish to support the health of their cat's joints. 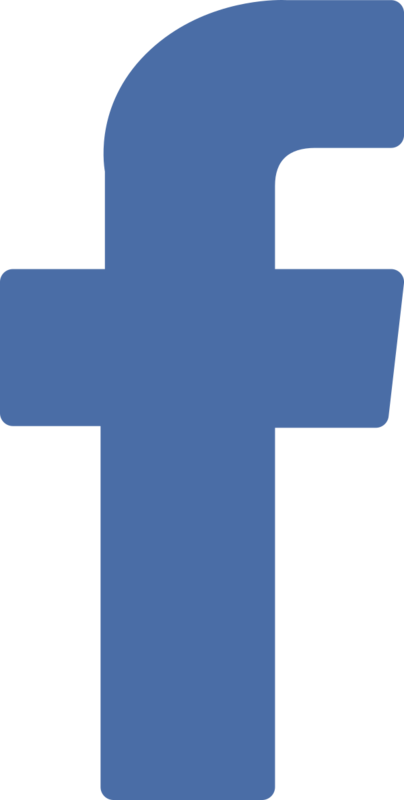 Cod liver oil provides EPA and DHA which are understood to have a role in maintaining the health of the heart. 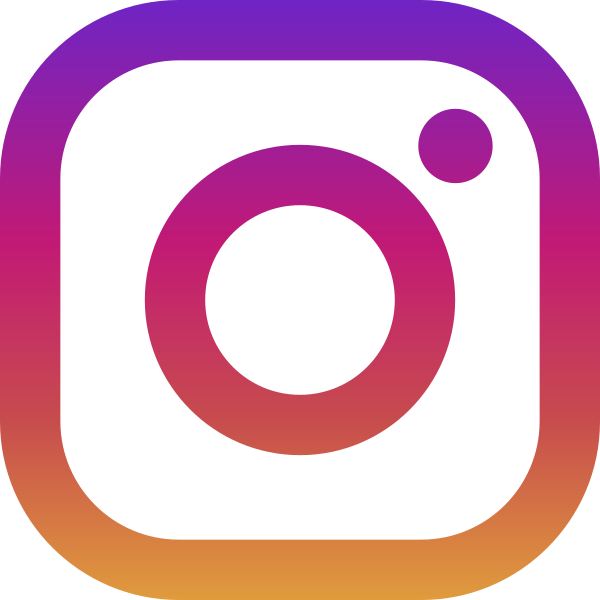 These essential fatty acids are believed to support healthy cholesterol levels, triglyceride levels and blood pressure, which are strongly linked to cardiovascular health. 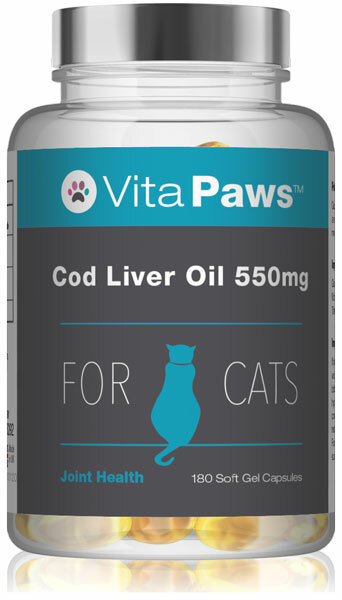 Cod Liver Oil supports the health of the skin and helps to maintain the gloss and shine of a cat’s coat. 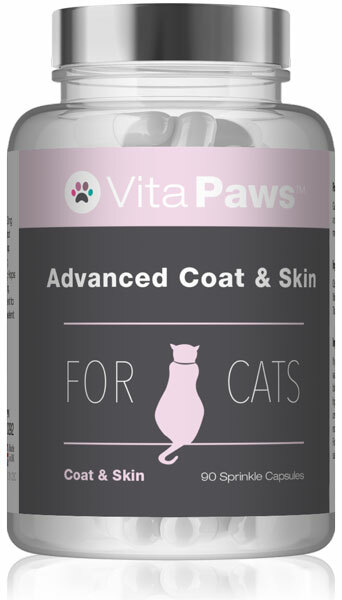 VitaPaws™ Cod Liver Oil for Cats provides a beneficial level of vitamin D, which has an important role in maintaining the health of the bones and teeth.